Located on the beachfront at Byron Bay’s Main Beach, you can laze on the deck and soak up the atmosphere. Having no road to cross to access the beach makes this an ideal stay for families. 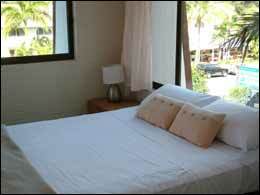 Guests enjoy air conditioned rooms as standard and secure lock up parking. Dozens of restaurants, shops and cafes are within 100 metres, while Byron’s scenic hinterland is a brief ten minute drive. Check in 3pm. Check Out 11am. A pre authorisation of $200 will be taken upon check in. If a credit card is not available for imprint, then we require a $200.00 refundable cash deposit to cover miscellanous charges such as lost keys, loss or damage or extra cleaning.If a security bond claim exceeds the bond held, Waves Byron Bay reserves the right to debit monies owed from the guests credit card/or other payment organised by the guest. No noise or behaviour unacceptable to neighbouring properties and units 24/7. A $100 deduction will be taken from the security deposit with each security callout. After one warning for noise or unacceptable behaviour , tentants will be evicted with no refunds. Your apartment is to be maintained and left in a clean and tidy condition .Guests must ensure that dishes are washed and garbage is transported to the garbage areas and the keys are to be returned to Waves Byron Bay reception on day of departure unless prior arrangements have been made with our office Manager. If the keys are not returned on day of departure or lost at any time, then you will incur a charge of $25 per set of keys.